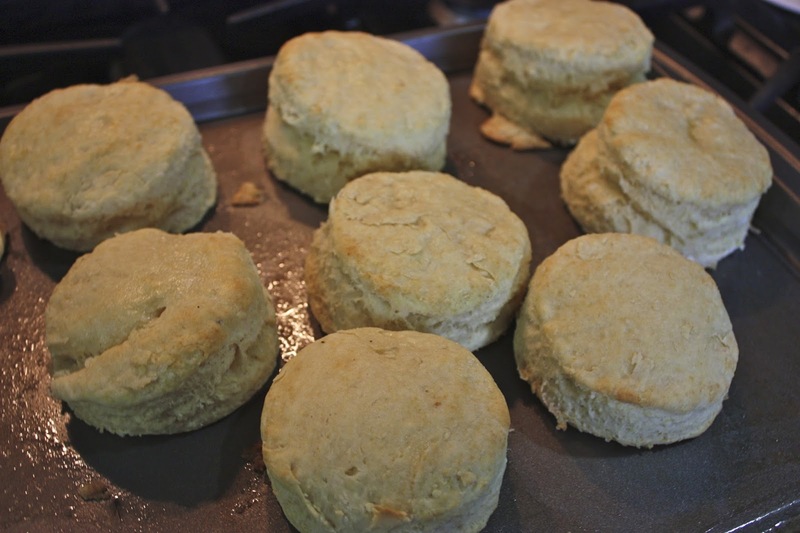 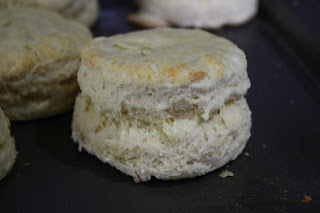 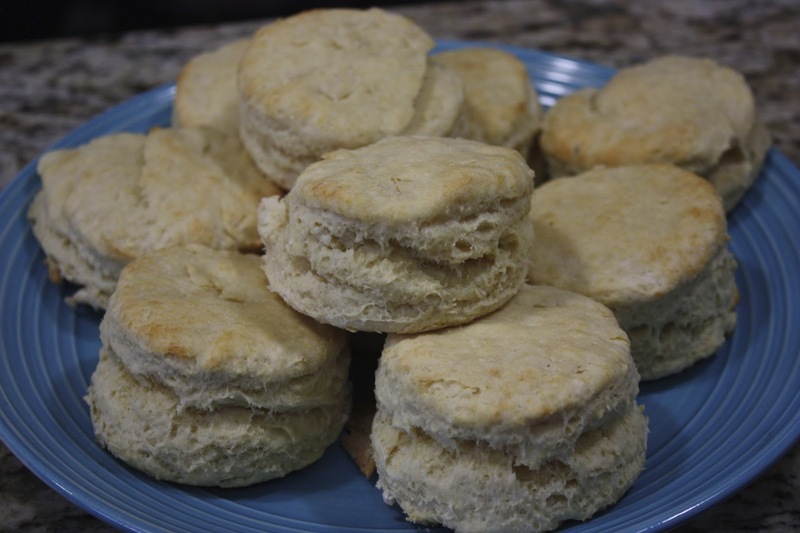 I've tested and tried biscuit recipes for years and years always wanting to make a light and fluffy biscuit that was moist and tender, but I usually could not get the combinations right, until I used a recipe that called for yeast, low and behold it creates a beautiful light and tender biscuit, and I've finally come up with my version of the best biscuit ever. 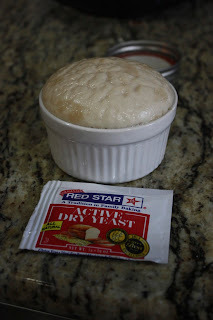 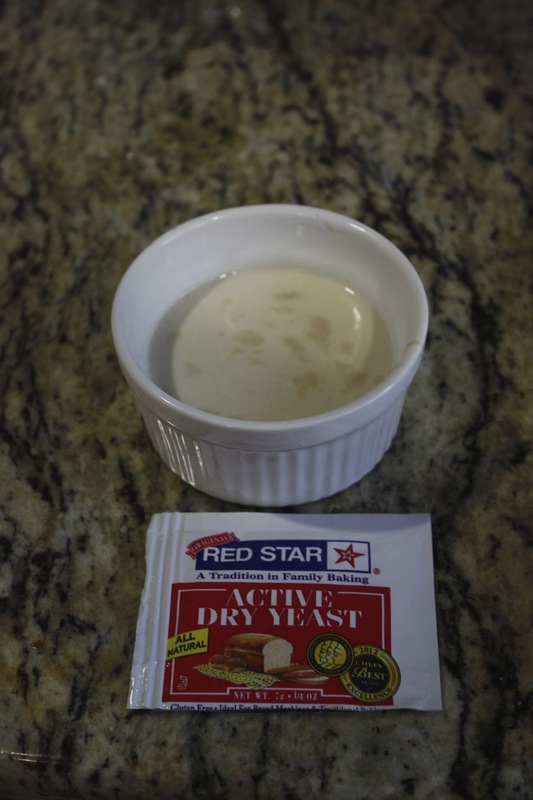 Bloom yeast in small bowl until it has tripled on size. 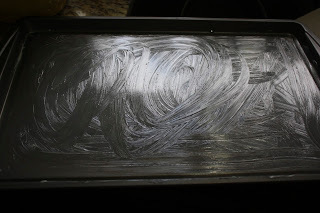 Leave on counter. 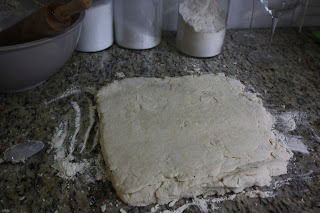 Cut in cold lard with a pastry cutter or large fork until lard pieces resemble the size of peas. I purchase this gallon of lard from an organic hog farm in Minnesota, and it lasts for at least a year in the freezer. 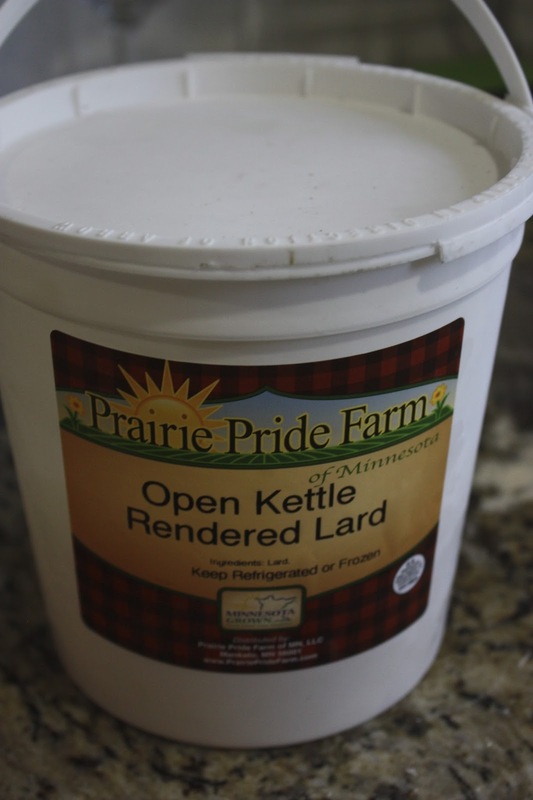 It is high quality, non-hydrogenized leaf lard and there is nothing better for biscuits, or frying for that matter. 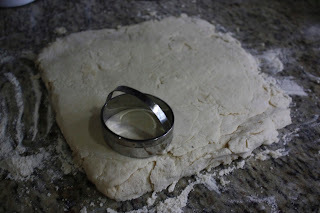 I don't use vegetable shortening ever, it is foul rancid crap that is the real cause of cancer in this country. 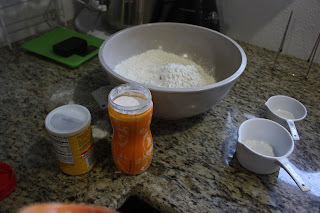 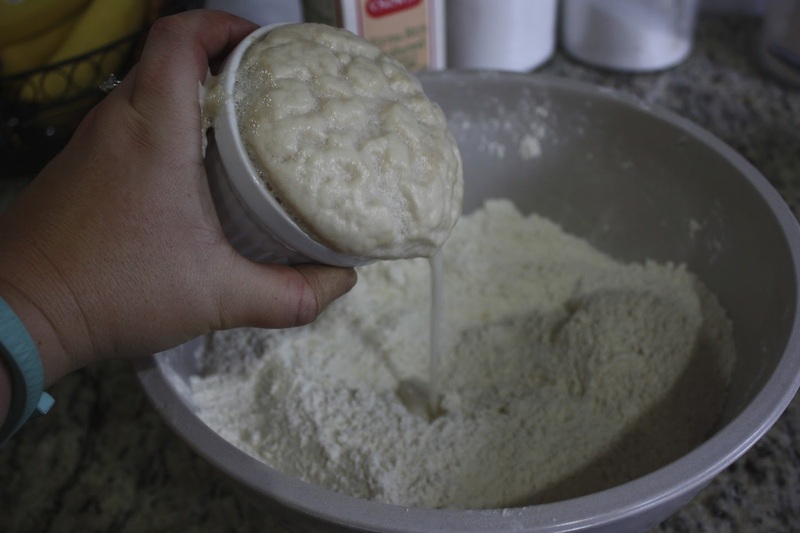 Add in the yeast and buttermilk. 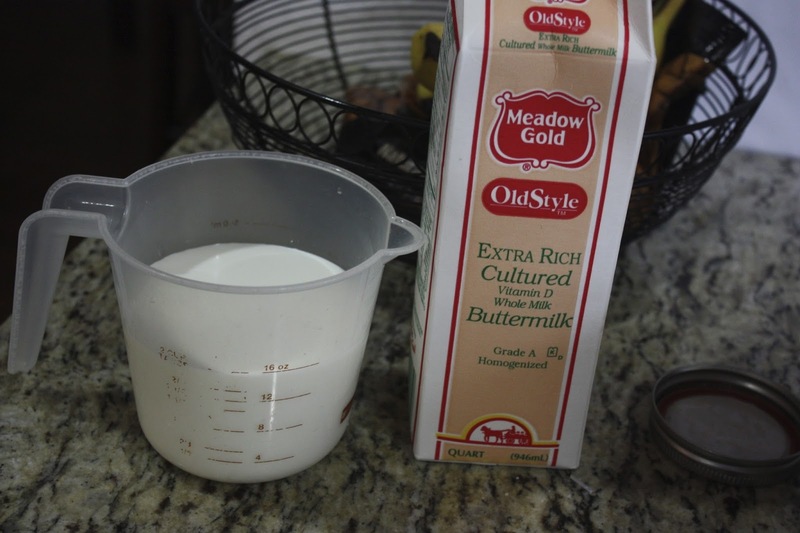 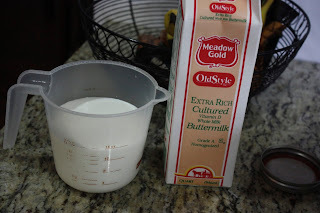 Make sure your buttermilk is cold. 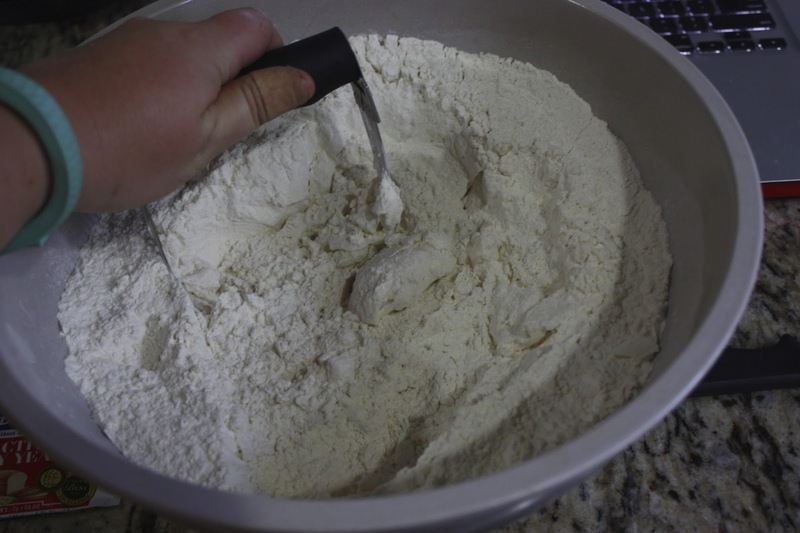 Mix lightly until formed then turn onto a floured surface. Place on a greased cookie sheet and bake for 10-12 minutes. Brush on melted butter fresh out of the oven. 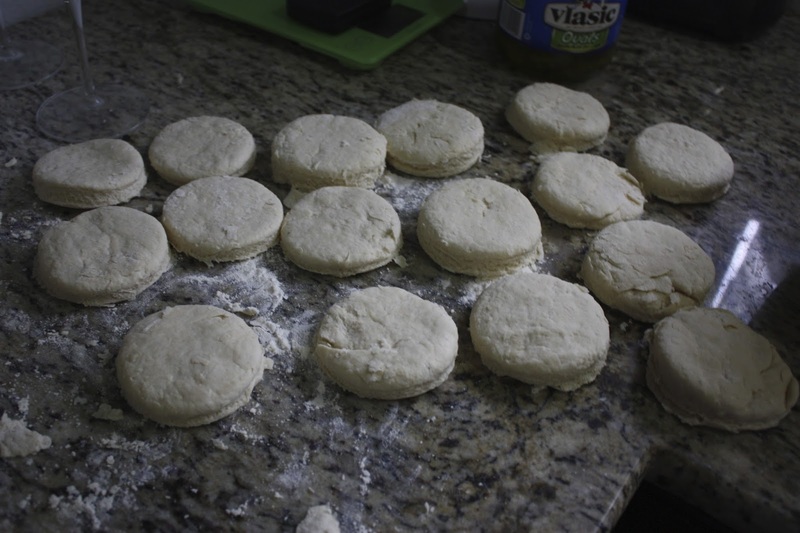 Depending on the size of your biscuit cutter, my recipe made 12 large biscuits.